Little Kayla is very friendly with people. Kayla was brought into rescue with her sister (from a later litter). Her sister is only 9 months old and Vigil managed to get her straight in to a suitable home. 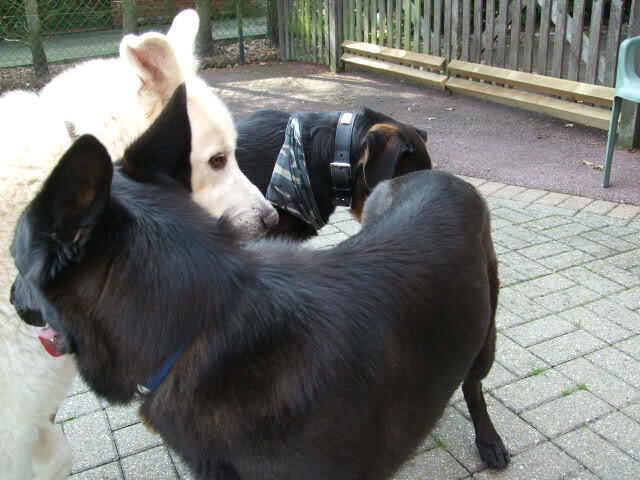 Their owner sadly had to give them up because of illness. 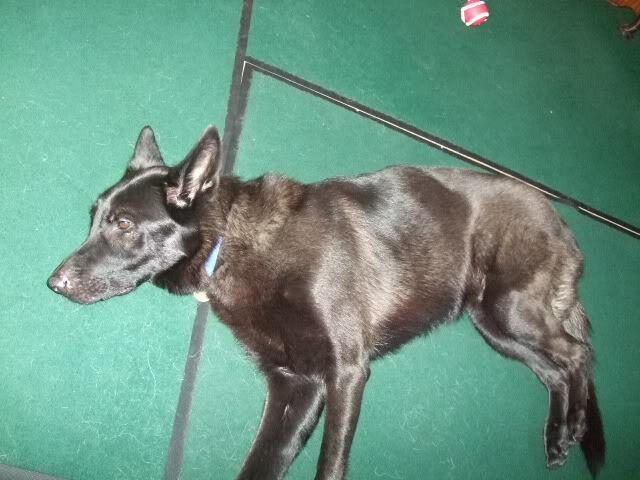 Kayla has lived with children of 8 yrs and older. 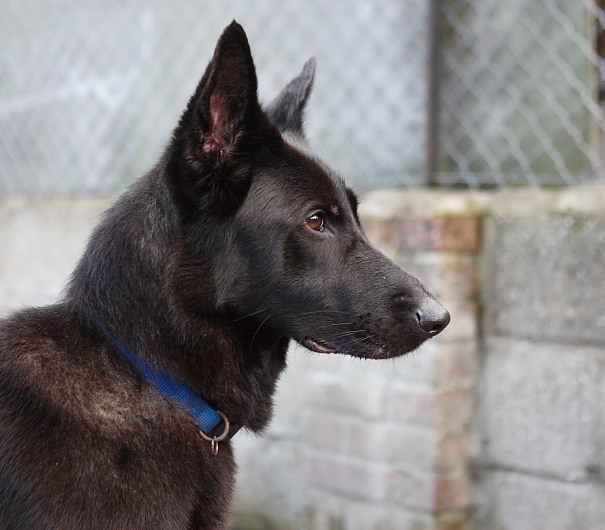 Kayla tends to be nervous of other dogs and will snap at them, though she has been mixed at the kennels without any major problems. 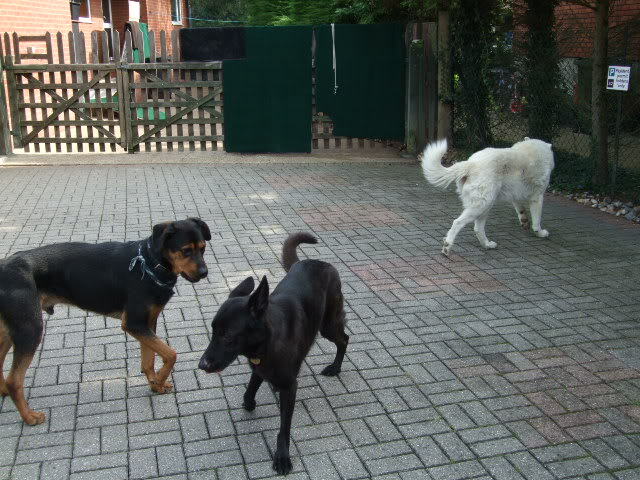 She is more likely to avoid other dogs rather than confront them. 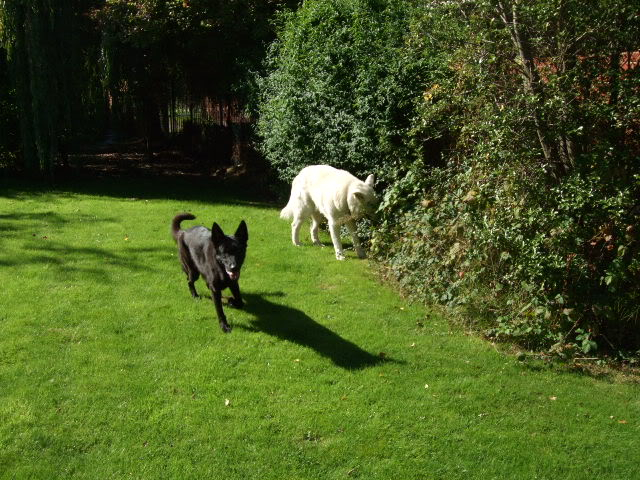 Kayla is now in foster with John in Chertsey Surrey. Kaylas best asset is her need for human company in which she gives her total commitment. She is his constant shadow wherever he goes. She likes to lie behind John while he is on the computer. Her ideal home would be with someone who is around most of the day. 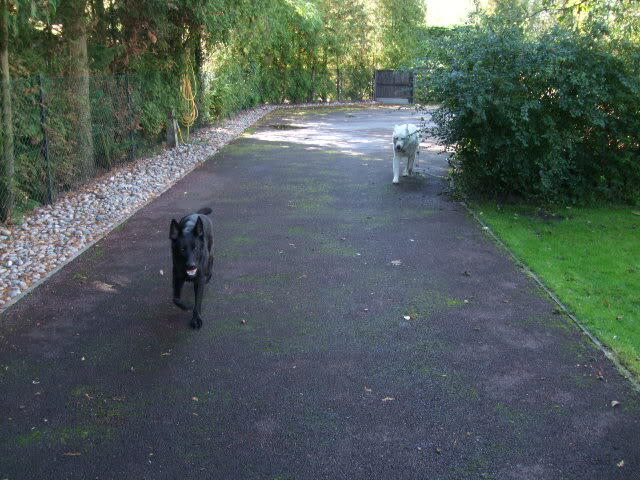 She is good on and off lead, be it in John's garden so far where off lead she stays within a few yards of him. 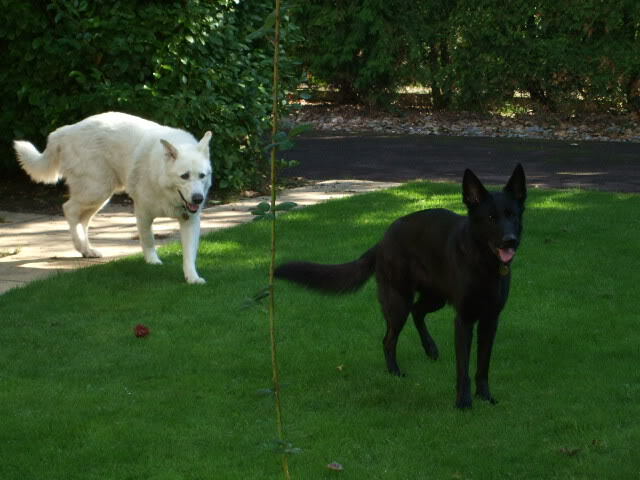 Here is Kayla meeting her first male friend called Samson. 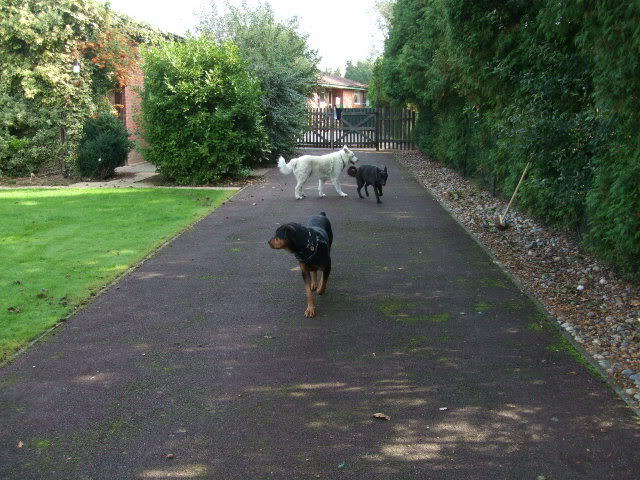 A few growls and grunts to start with but they are now accepting each other and have been laid out behind John. 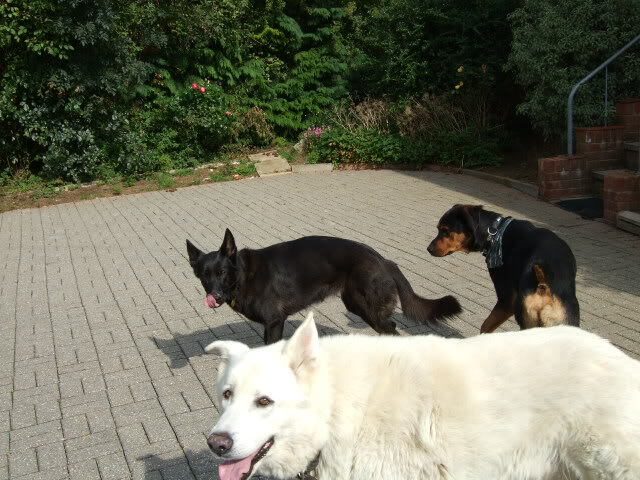 Kayla is coming on in leaps and bounds with other dogs,Here she is with White Samson and Jason the rottie x who is also loking for there newhomes here. 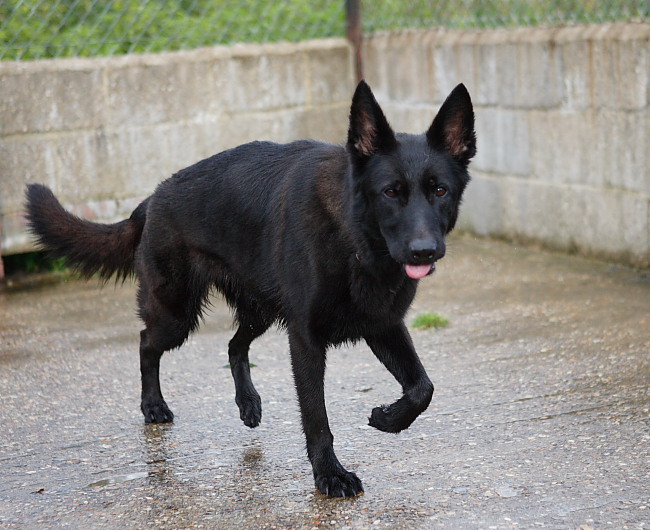 Kayla is beautiful fingers crossed for her getting a loving new home quickly and the other dogs she's playing with too.